Buying a costume can be way too expensive. That’s why this year we decided to do it ourselves and get creative. For the Mario costume I bought Royal Blue high waited shorts from Charlotte Russe. I had an old red tee shirt that allowed me to make the basics of my costume. For the hat I took a plain red hat and then hand drew the ” M” with sparkly iron on fabric and then ironed it on the hat behind white iron on paper. For my sequin suspenders, I went to Jo-ann fabrics and had them cut me a yard of the fabric. I then sewed them on my shorts to allow them to look like suspenders. I also had red high socks with white Converse shoes. I found a stuffed Mario doll at Target to complete the costume. Finally, what good is Mario without a fake mustache? 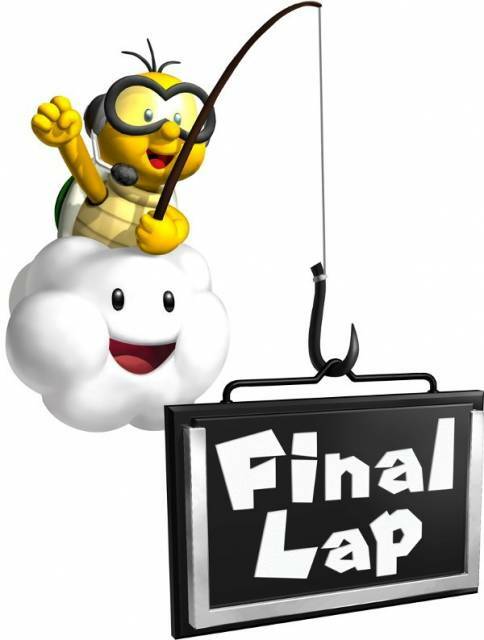 Next is the Lakitu Costume ” The Final Lap Guy”. This one was super exciting and fun! I took an old stretchy skirt I had bought years ago and sprayed glued bed stuffing all over the skirt MULTIPLE TIMES to make the cloud. I cut out the eyes and mouth with simply fabric paper and they stuck right on because the had a sticky back. We took a Teenage Mutant Ninja turtle tee shirt (because Lakitu is a turtle) and cut out the name Lakuti to cover the T.M.N.T. symbol that came on it. We also bought harry potter glasses at the local Halloween store. For the final Lap sign we took a children’s fishing pole and made the sign ourselves but cutting out letters and gluing them tho the black poster paper. This costume was a blast to make and was definitely the laugh of the party! Making costumes makes Halloween much more fun and is definitely the cheaper way of looking great! 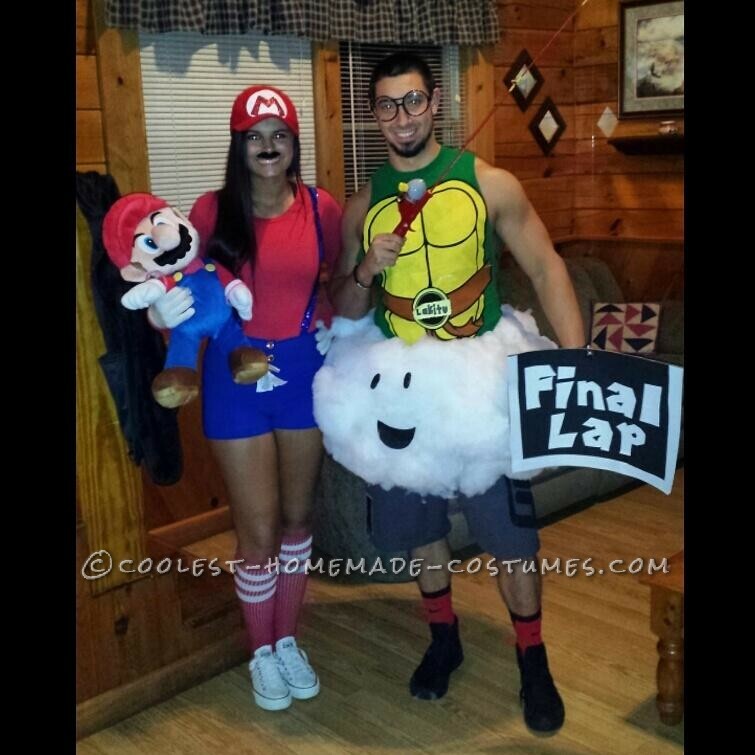 I can definitely say I will be making my costumes from now on! Overall I think they look awesome compared to bought un-original costumes from the store.